In the early months of 1933, the cousins expanded further, this time into the realm of short stories. The lucrative magazine market beckoned. 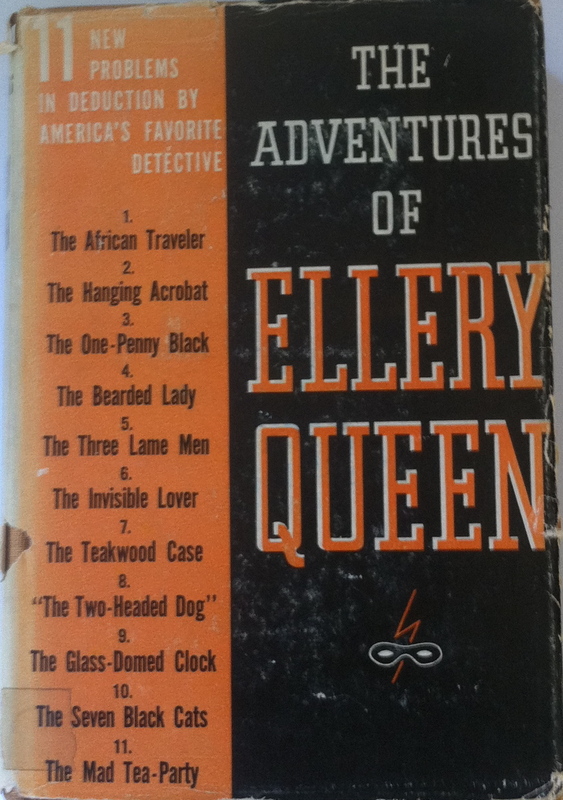 The first story they wrote, “The Adventure of the African Traveler,” did not see print until 1934, when it was included in the short story compilation, The Adventures of Ellery Queen. Why it was not printed in a magazine, as intended, is anyone’s guess. The story did put Ellery Queen on an interesting new path, which, sadly, only lasted the one story. Ellery agrees to teach college students his deductive methods. Sixty-five apply, two are chosen, and the third pulls strings to get into the class. They introduce themselves and immediately tromp off to a murder scene where all four civilians are allowed to inspect the hotel rooms and body of the victim. One untrained student paws the corpse’s wristwatch, and another pockets it for further investigation in his chemistry lab. They then go their separate ways, following their theories on the meager clues they have uncovered. A mere two hours later, they meet back in Ellery’s apartment for dinner and a discussion detailing their deductions. Of course, they are all wrong, Ellery is right, and, sadly, the students and the premise which brought them to life are never seen again. I always wanted to see this notion revived in the stories or on the Levinson-Link TV series. Very perceptive of you to spot the similarities with “House”; I know the Holmes parallels with the TV show, but not an EQ parallel.